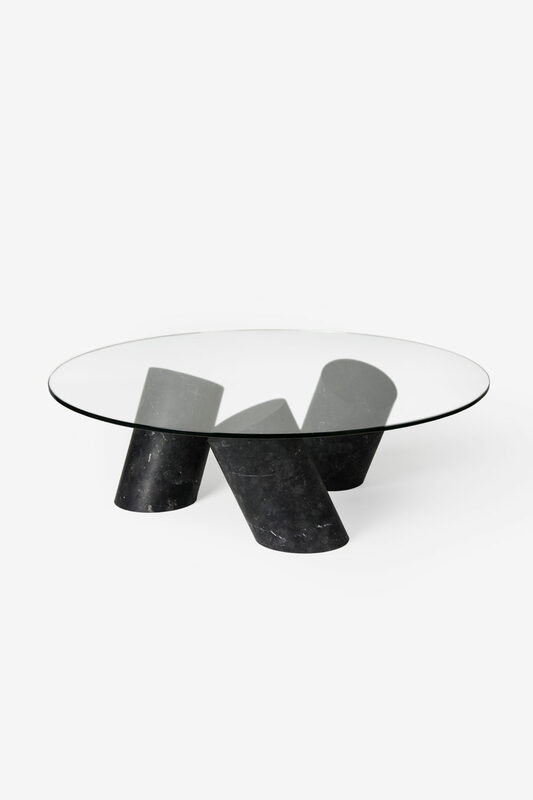 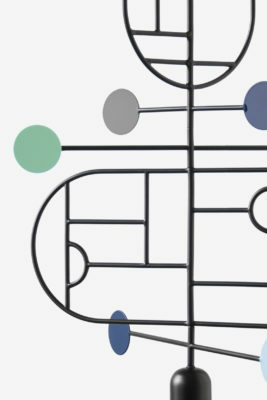 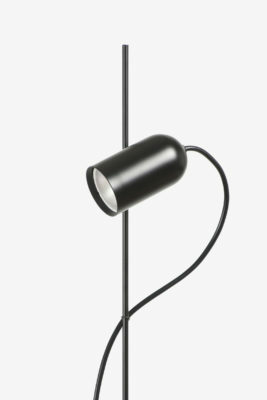 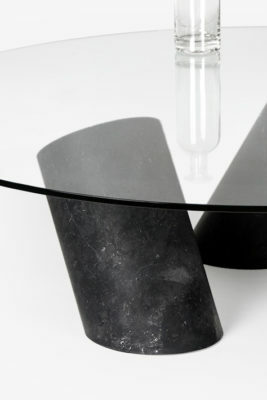 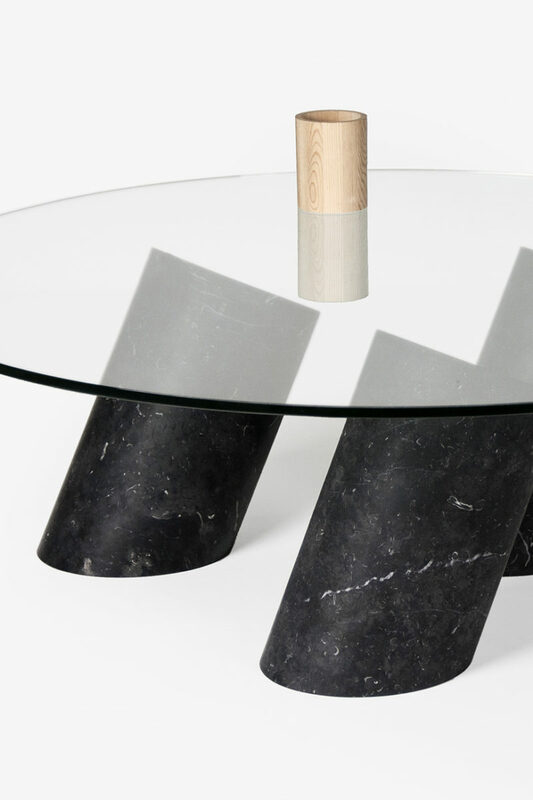 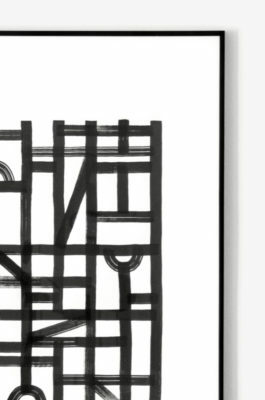 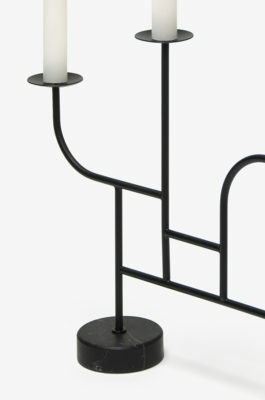 Black painted beech wood, powder coated steel tube in semi-matt black. 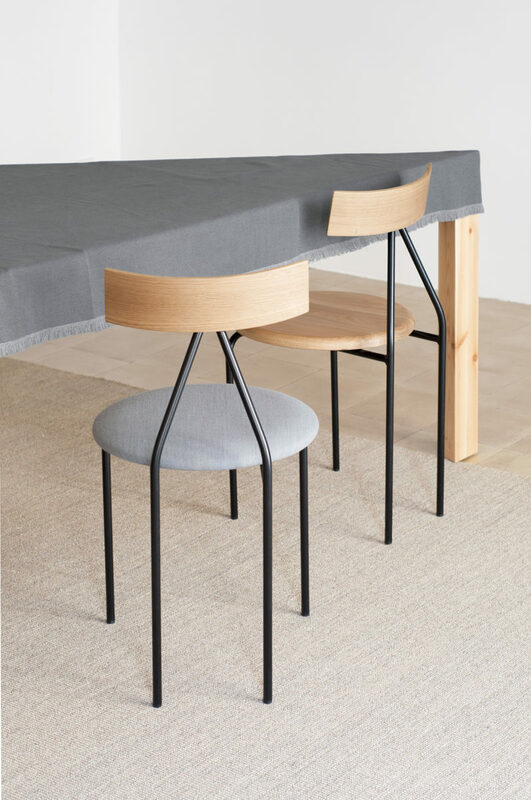 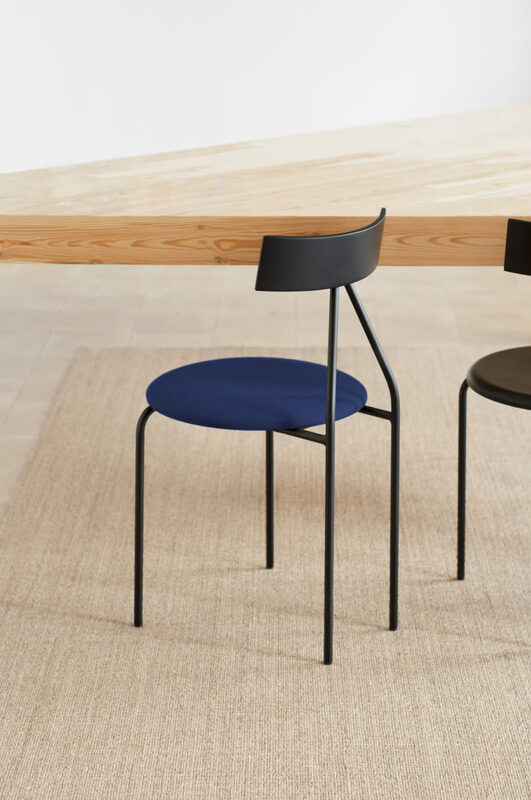 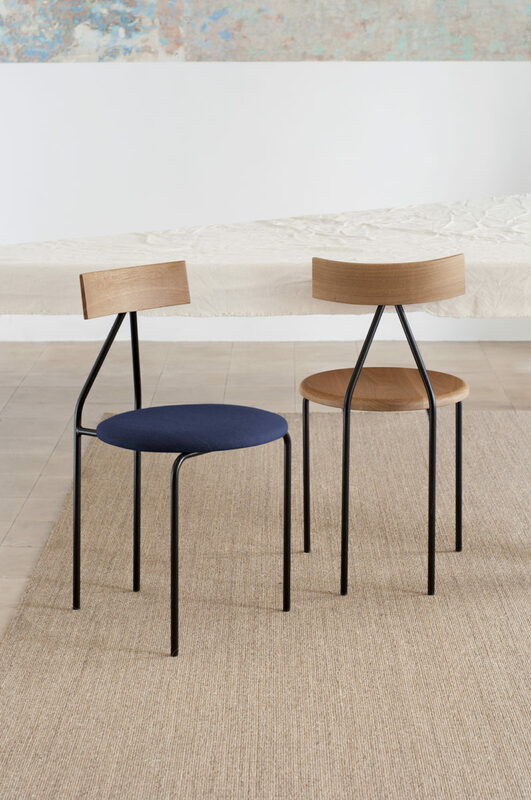 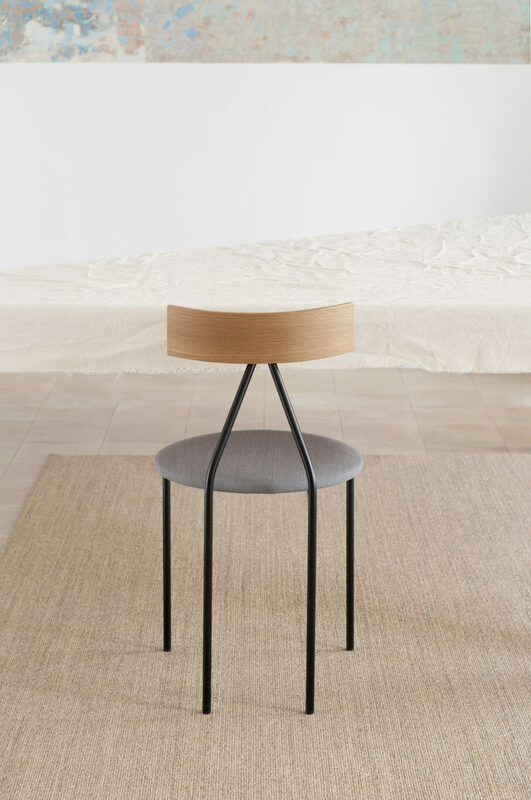 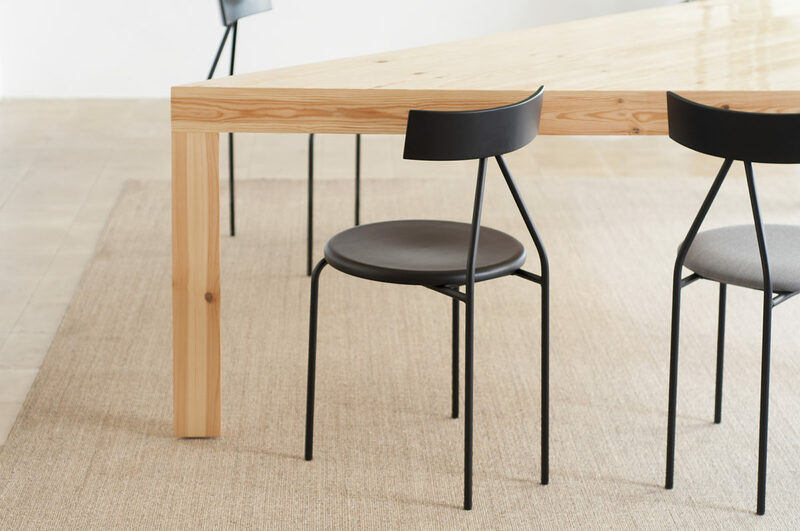 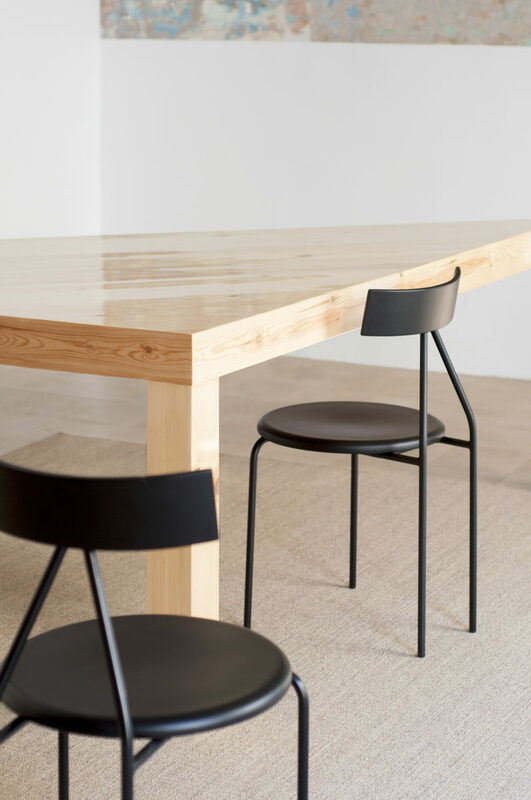 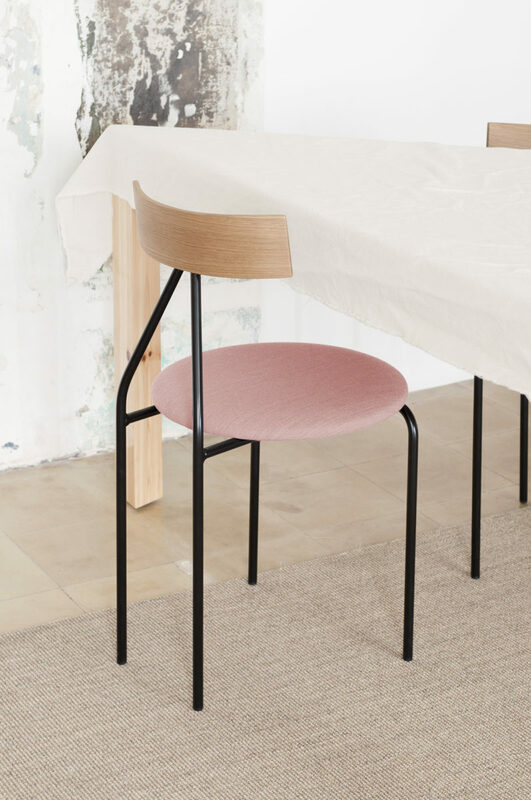 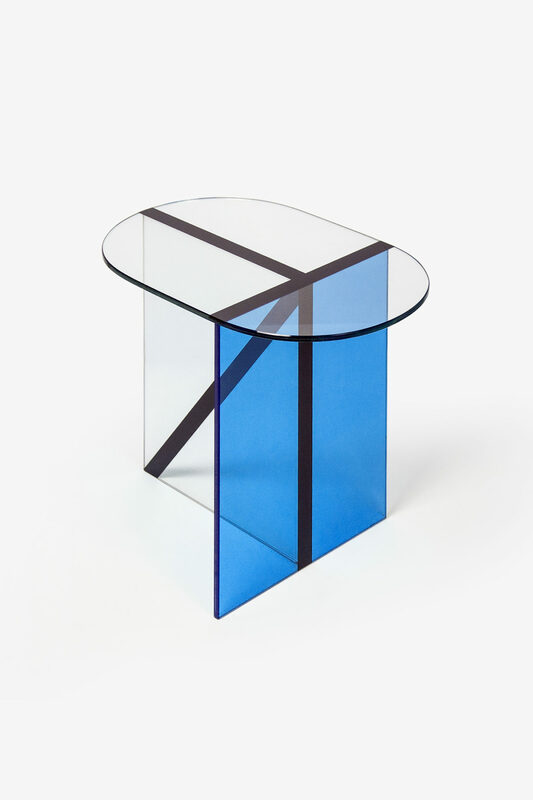 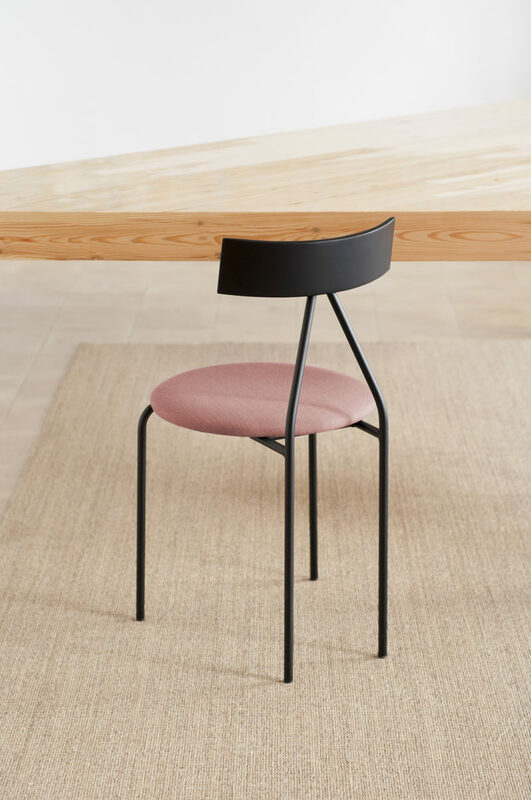 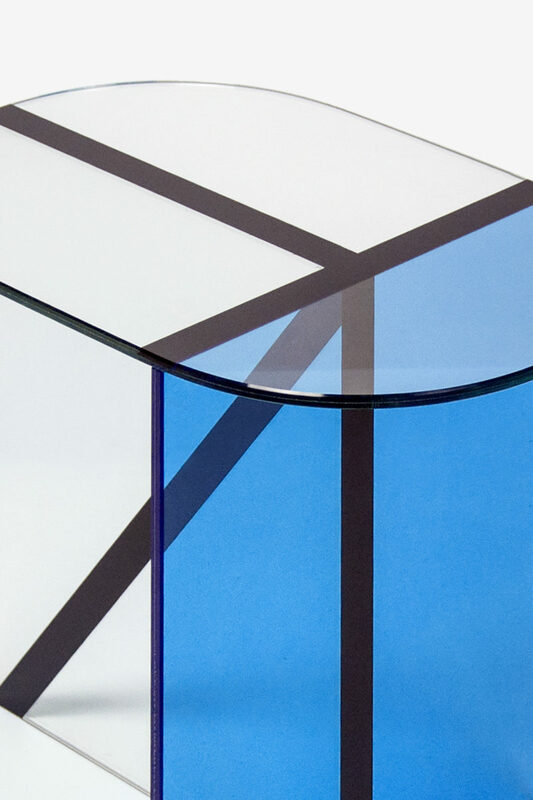 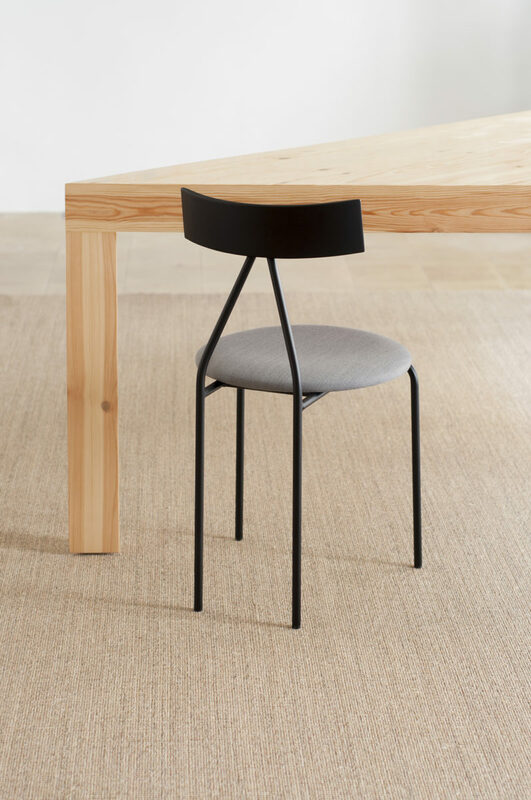 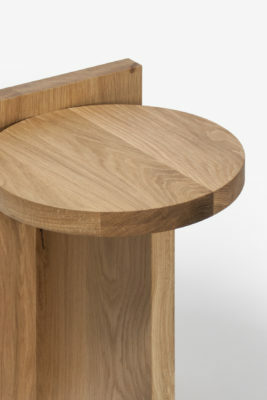 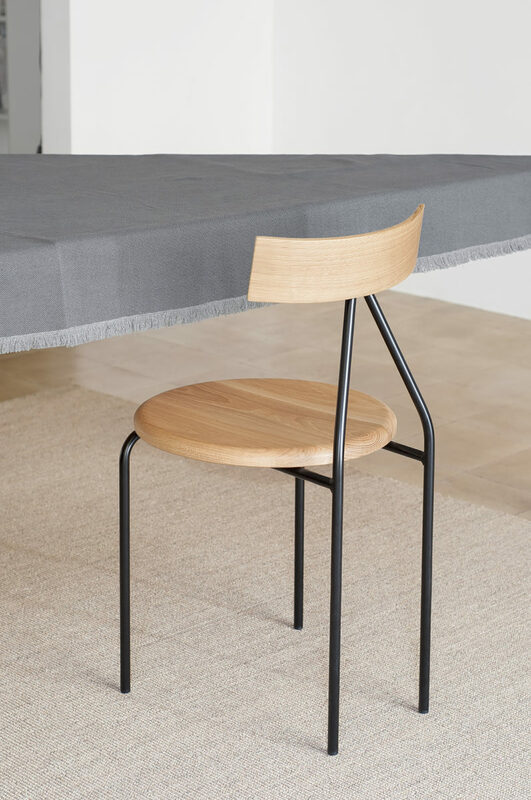 The Gofi chair is drawn with a quick gesture: straight lines, a circle and a rectangle; a design deceptively simple that sets the focus in the back of the chair, the side that we see when a chair is next to a table. 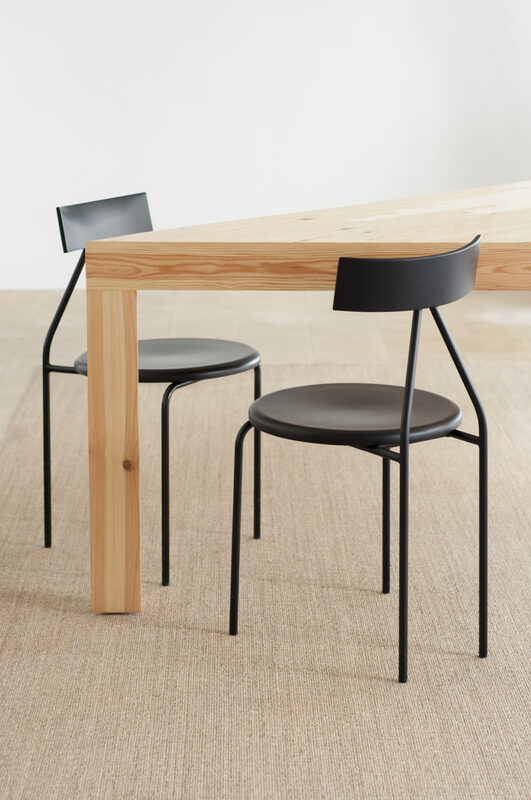 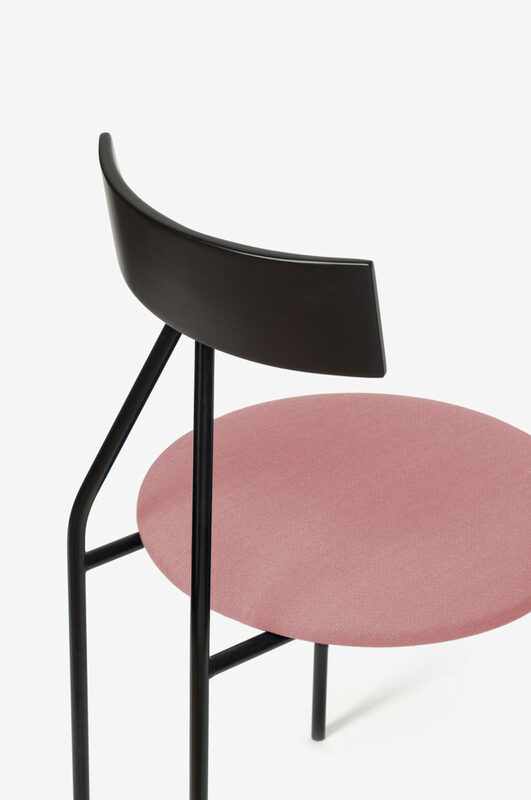 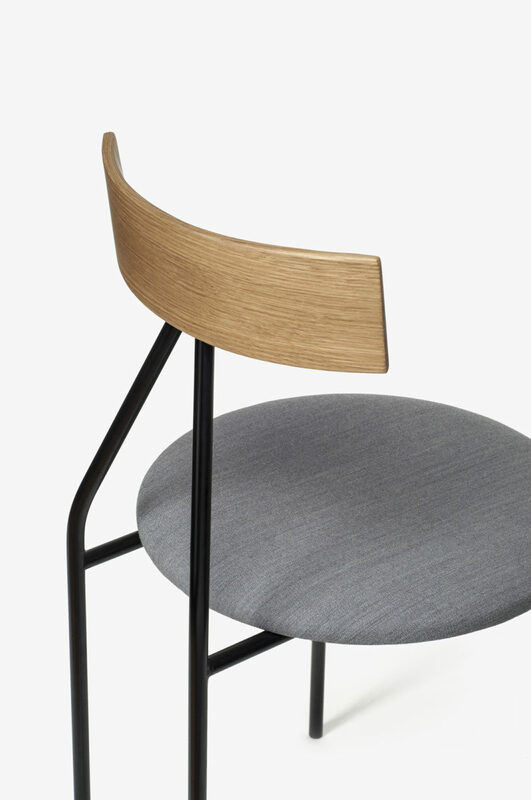 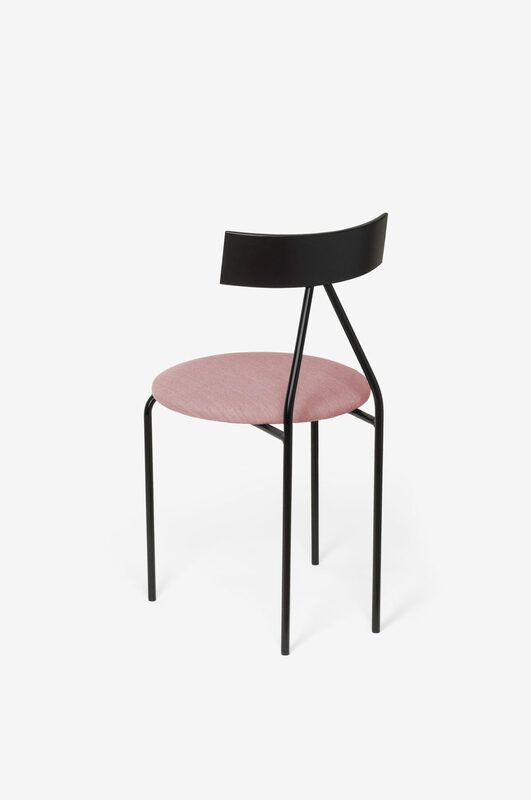 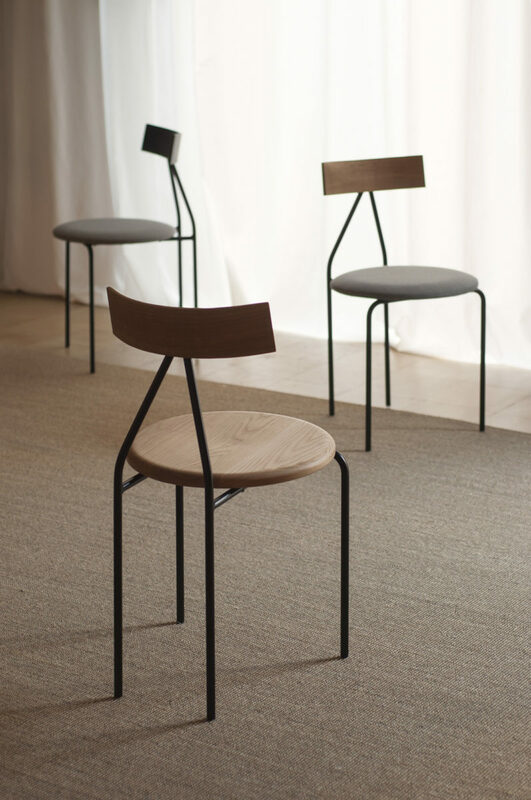 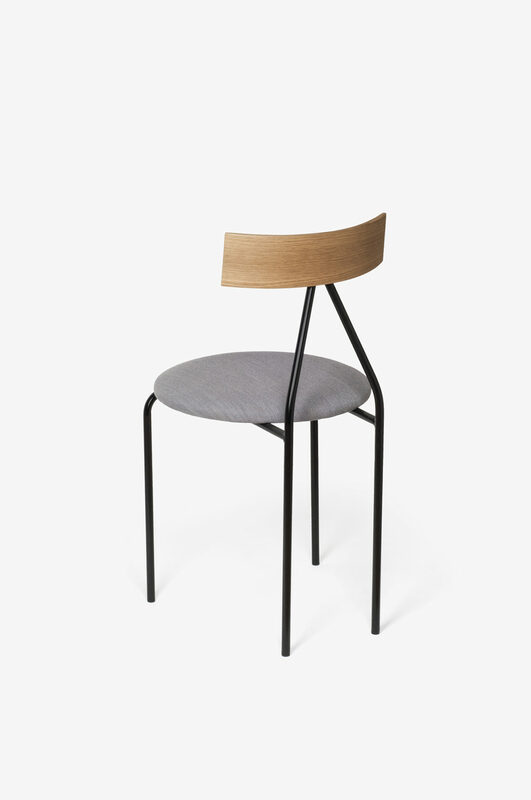 The Gofi chair is available in many finishes: black or red painted beech wood or varnished oak. 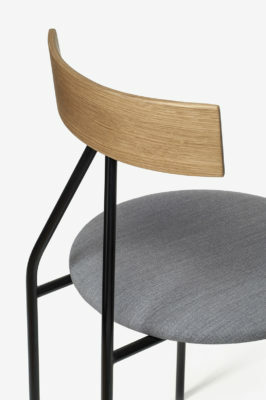 Both options are also available with the seat upholstered.